When you're in the middle of cooking soup and you dip the spoon to take a quick taste, what you hope to find is delightful flavor. Yet sometimes when you try that sip, what you might find is that something has gone awry this time — and now you've got a soup that's too bitter. Many ingredients can cause a bitter flavor, but rather than wasting time trying to figure out what caused the bitter flavor and attempting to remove it, counteract it by adding a few simple ingredients that you probably already have. 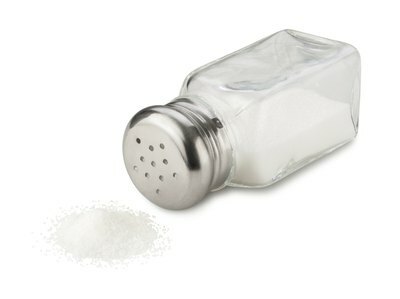 Add salt to your soup but in very small amounts; you do not want the soup to become salty. Use a pinch at a time and then let the soup simmer for a few minutes before giving it another taste. Add another pinch of salt if needed. Add sugar or honey to the soup if salt doesn't seem to be doing the trick. Sugar and salt used in the right proportions and in combination can help to create delicious flavors in any dish. Add the sugar or honey in small amounts, just as you did with the salt. Give sugar a longer time to simmer, as its flavors are released more slowly. 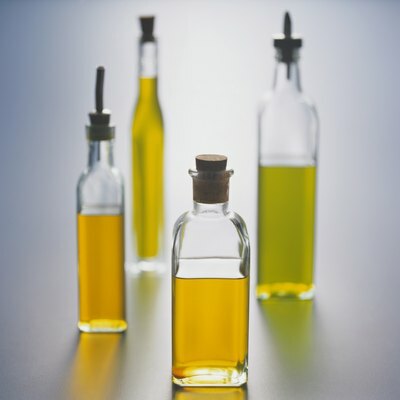 Combine small amounts of an oil or fat such as olive oil or butter into your soup. These help cover up bitter flavors by coating the tongue, and they add a comforting and flavorful taste to your soup. If the previous use of salt or sugar has fixed your soup, you do not need to add fat. 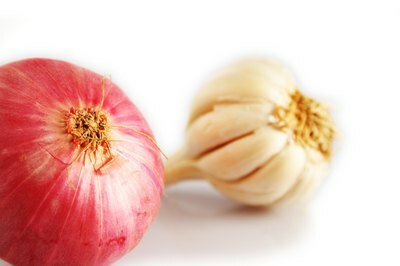 Throw in some minced aromatic vegetables such as garlic or onions to counteract the bitter taste and add strong flavor to your soup. Give these time to cook into the soup as well, as more flavorful oils are released the longer they cook. You only need to add aromatic vegetables if there is still a bitter taste to your soup after attempting previous steps. Do not serve a bitter soup cold. The warmer the temperature, the less bitter the soup will taste. Do not add too much of any ingredient to your soup when trying to counteract bitter flavors; otherwise, you will end up with other overpowering flavors than can be even more difficult or impossible to counteract. 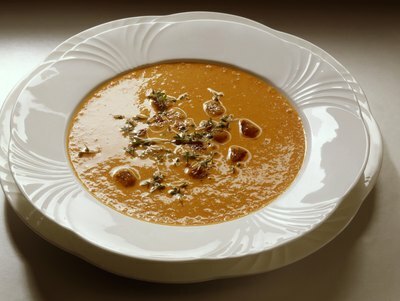 Do not add vinegar or other acidic foods such as tomatoes to the soup, because sour tastes do not counteract bitter ones. What Makes Pico de Gallo Taste Bitter?